After 2 years, Kim Chiu is reunited with director Chito S. Roño to do a film under Star Cinema entitled Ghost Bride. At the Star Cinema office on February 2, Kim and direk Chito had a story conference together with the rest of the cast of the movie including Alice Dixson, JC Santos, Jerome Ponce, Matteo Guidicelli, Rio Locsin, Beverly Salviejo and Mon Confiado. Matteo will be Kim’s leading man in the story. 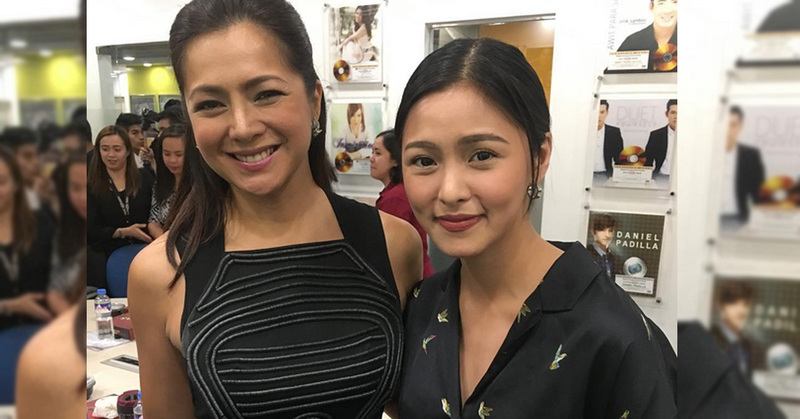 This is Kim’s third movie under the direction of Roño. The first two films include The Healing (2012) and Etiquette for Mistresses (2015). Meanwhile, the film is Alice’s first movie project with Star Cinema and she will be playing a very vital role in Ghost Bride. But Alice is not new in the ABS-CBN family whereas she once played Faye in Okay Ka, Fairy Ko! together with Vic Sotto when it was airing then in the network. The movie will start its production very soon. So keep posted for more details.